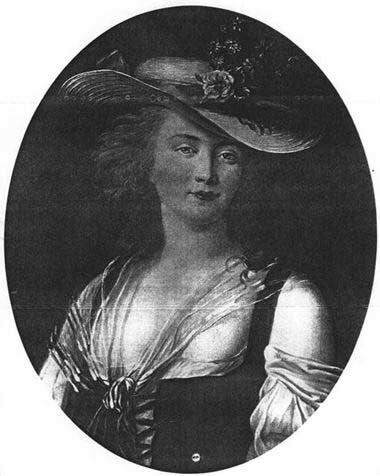 Marie Louise de Savoie (1753-1810) wife of King Louis XVI's brother. 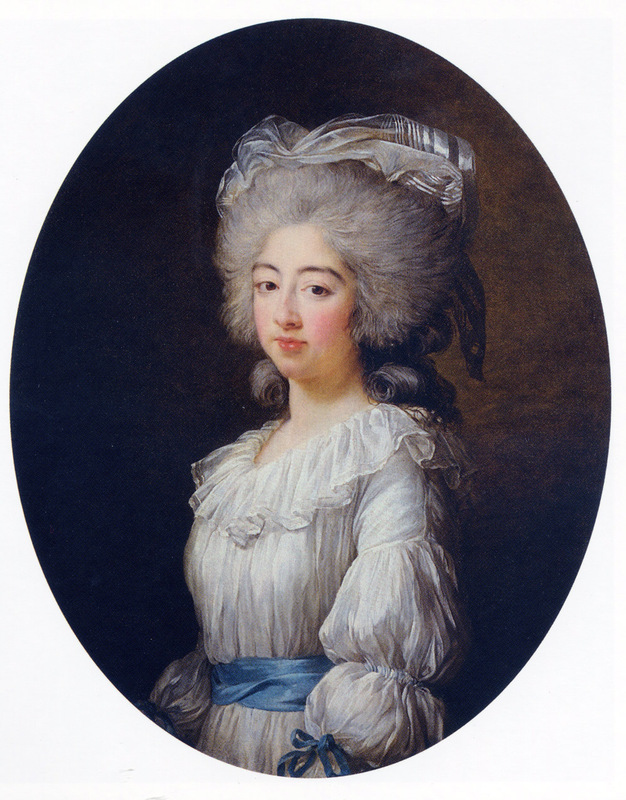 Vigee Le Brun listed 2 Madame, the wife of Monsieur, the Kings brother for 1778. 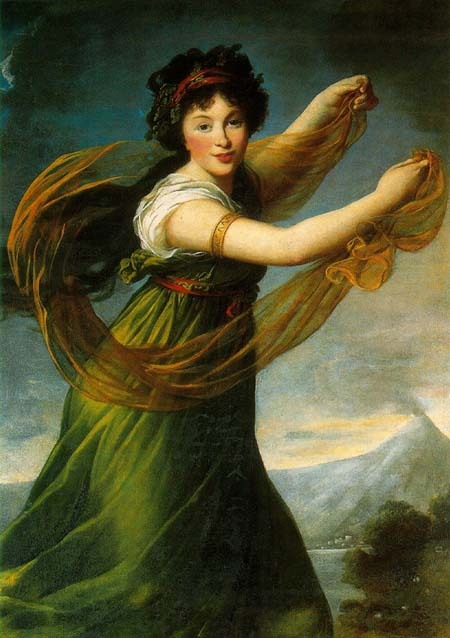 However, the painting is signed 1782, and was exhibited in 1783 at the Salon de lAcadémie Royale. A variant (Art Page 125) was also found. 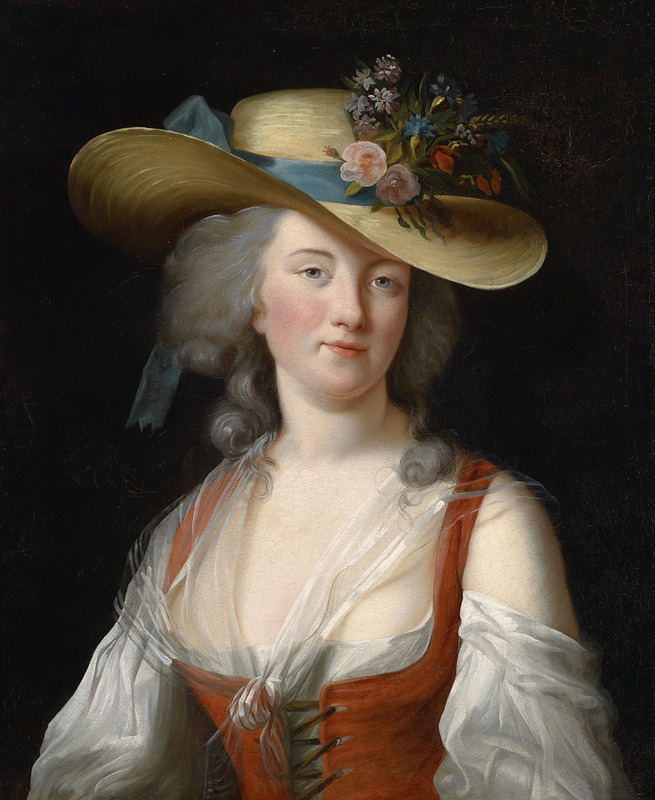 Go to the Comtesse de Provence Page for more information on this painting. 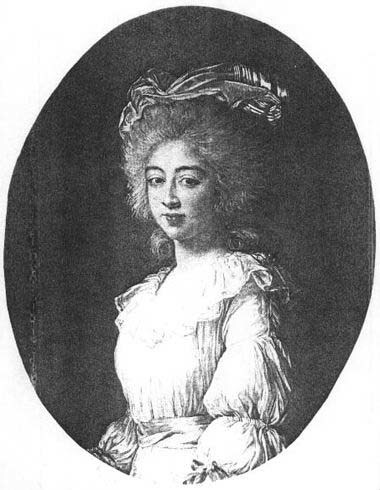 Vigee Le Brun listed 2 Mme de Verdun for 1776. A rectangular version appears on Art Page 66. 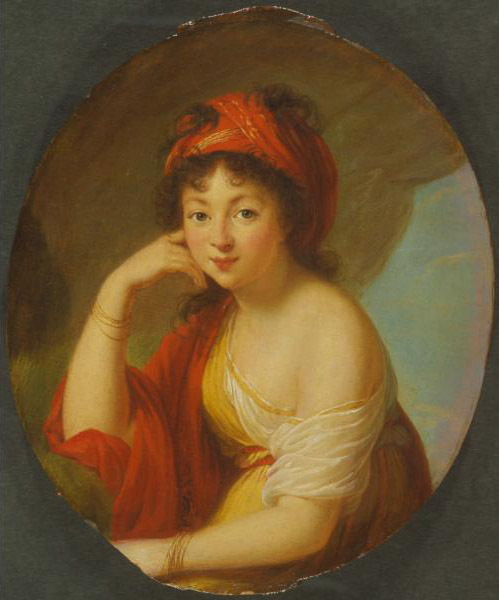 This is not the same sitter who appears in "Princess Sapieha, dancing with a shawl," (Art Page 69), and who is also represented in "Princess Sapieha" in a miniature portrait by Auguste Louis Jean-Baptiste Rivière, perhaps after a Vigee Le Brun original. 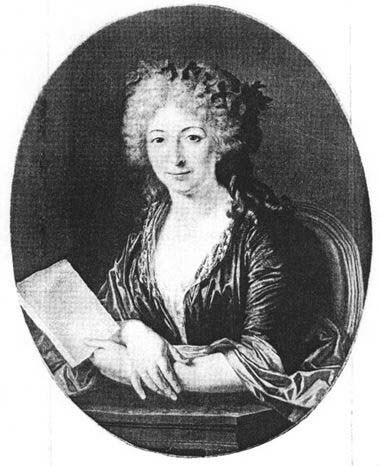 There were many princes called Sapieha, and it's possible this woman was a different Princess Sapieha.